An unusual commission for me but a challenge I relished. 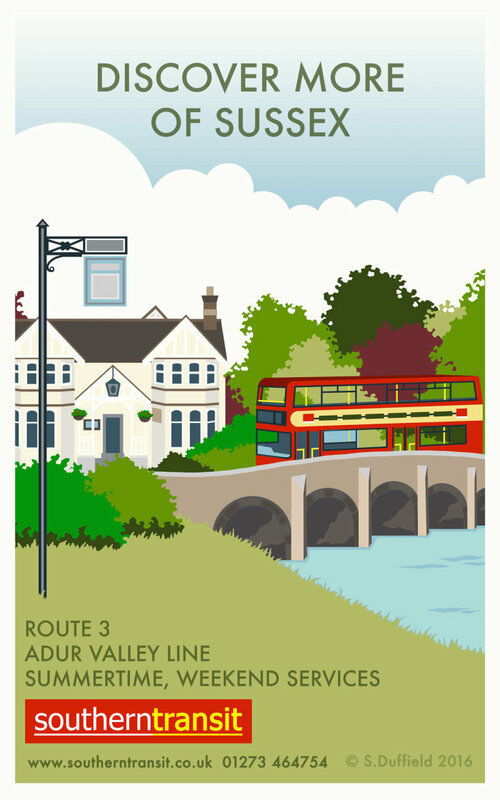 Creating a route poster with nods towards travel images of the past for a modern, local bus company. This commission required a visit to the London transport museum (not somewhere I'd ever thought I'd visit) and lots of looking a buses - did you know they are all very different and have particular window layouts!